6 YEARS LATER & STILL AS DEDICATED TO CUSTOMER SERVICE AS DAY 1! Why Avenue Automotive for Car Repair in Ennis, TX? Avenue Automotive has been providing excellent service and offering outstanding value to neighbors throughout Ennis TX and Ellis County since 2010. Bring your car in today and see for yourself why Avenue Automotive’s is the area’s most trusted automotive repair shop. Our staff has over 100 years of combined experience in diagnosing and repairing vehicles. Preventive car maintenance is a necessary expense to keep your vehicle in good running condition. Avenue Automotive Repair provides fast and convenient corporate and fleet vehicle repair and maintenance services for companies throughout the Ennis, TX and Ellis County Area. Your vehicle relies on oil, lubrication and an oil filter to keep it running smoothly. The Engine is the heart of your vehicle and it’s vital to maintain scheduled service. We bring auto detailing with a personal touch to you! 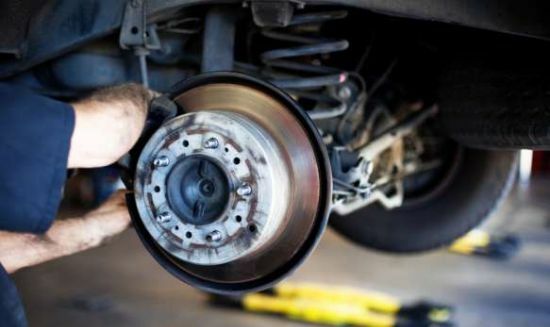 Keep your brakes well maintained for top stopping power! Keep your car driving straight with a proper alignment!